*Philadelphia District Attorney Seth Williams said he kept a campaign promise Tuesday. 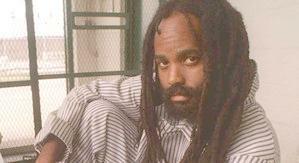 He made a telephone call to Maureen Faulkner and asked her what to do about Mumia Abu-Jamal. Leave him to spend life in prison, he asked, or keep seeking the death penalty for the murder of her husband, Police Officer Daniel Faulkner, in 1981? She chose the death penalty, Williams said. It means the case of Abu-Jamal, now 57 and perhaps the best-known death-row inmate in the world, is headed back to the U.S. Supreme Court. So intricate is the legal wrangling that any final resolution is likely years away.